The leader of the wicked priests of king Noah. After king Noah's defeat he fled to the wilderness where he, and the other priests, resorted to thievery and even kidnapped daughters of the Lamanites. They were eventually discovered and joined the Lamanites. He was made king over Helam and persecuted Alma and his people prior to the Lord helping them escape. 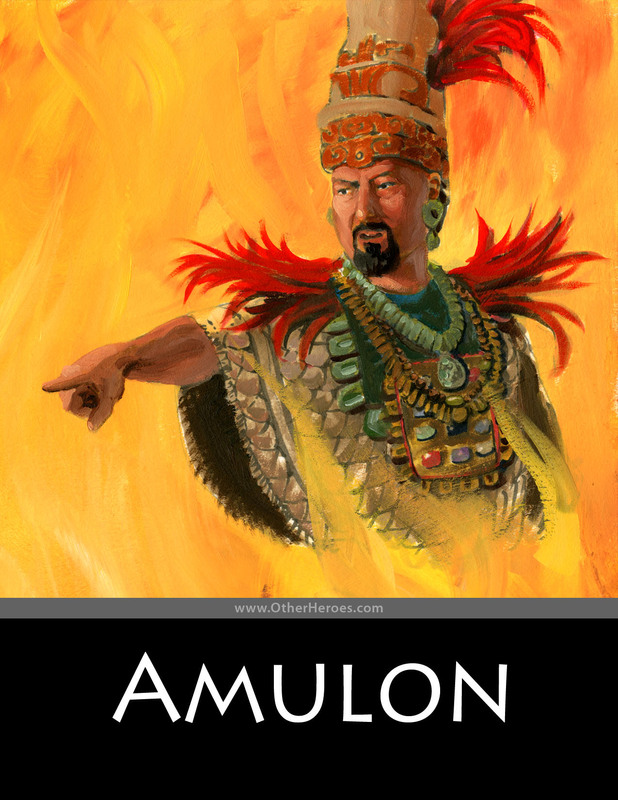 The descendants and followers of Amulon and the other priests of Noah are called Amulonites. They are described in the scriptures as more wicked than the Lamanites and follow after the order of the Nehors. After cruelly slaying many of the Ammonites (Lamanites converted by the preaching of Ammon) they led the Lamanites against the Nephites. Although they destroyed the city of Ammonihah, the were eventually driven and slain by the Nephites. Almost all the Amulonites were slain and those that remained fled into the wilderness. Many of the Lamanites who were with them began to remember the words of the Aaron and his brethren who had preached among them in the past and began to believe in the Lord. This infuriated the Amulonites who burned to death any of the Lamanites who believed in these things. This did not go over well with the Lamanites and from that time on the Amulonites were hunted by them.